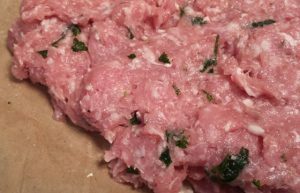 Quick, easy, homemade sausage | Quick, easy, homemade sausage – oh, that's tasty! 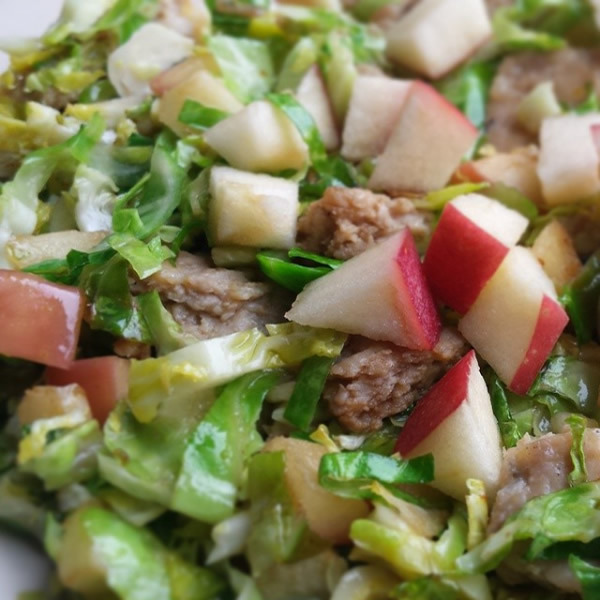 Homemade sausage may sound daunting, but it’s really amazingly simple! 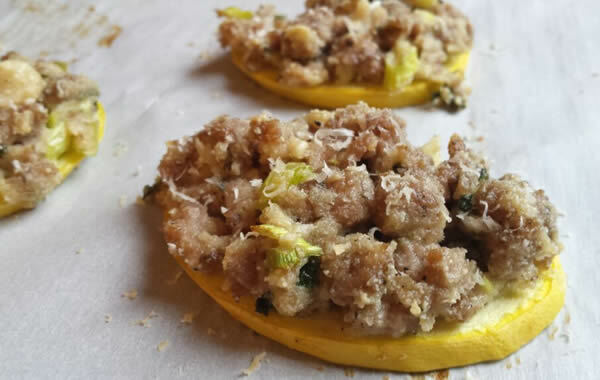 To make bulk or fresh sausage (as opposed to link or smoked sausage), you just buy ground pork, chicken, or turkey, add some spices, herbs, and maybe a little something else; mix it all together, let it chill for a while, and then freeze or cook it. It ain’t rocket science! The great thing is that you customize and control how spicy they are and what sweeteners go in, if any. Making your own also lets you ensure there are no artificial coloring, fillers, MSG, or other weird ingredients. If you have food sensitivities, you can avoid soy, nightshades, gluten, etc. And they usually end up being much cheaper than ready-made sausage. Depending on the spices you add, you can create breakfast sausage, Italian sausage — sweet or hot, chorizo, anything, really! 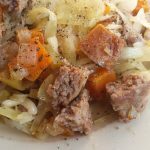 Although brats (bratwurst) are traditionally link sausage, I have a recipe that makes a brat-flavored bulk sausage, which I love to eat with sauerkraut. 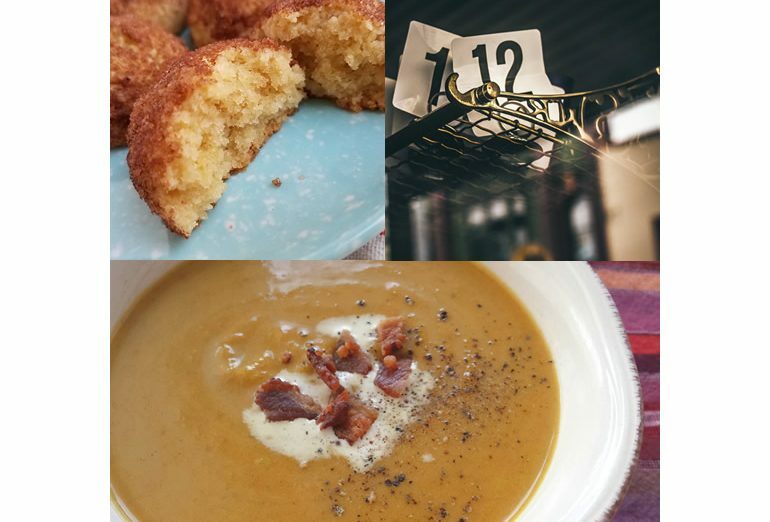 Added to soups in the winter. 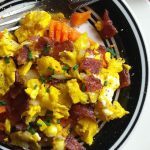 Mixed into scrambled eggs for an easy breakfast. I’ll show you the method, then list some of my favorite recipes. I’ve broken this down into a lot of steps, but they’re all really easy. Step 1: Buy the meat. Buy it already-ground, and the fattier the better! If pork, it should be at least 20% fat — which will most likely be labeled “80% lean” in the meat case. If you’re buying turkey or chicken, try to get dark meat, not white meat and not labeled “low fat.” If they don’t have what you want in the case, ask if they’ll grind some thighs for you. Most high-service stores will. Step 2: Mix the seasonings. By mixing them all together first apart from the meat, you stand a better chance of them being distributed evenly throughout the meat. Step 3: Spread the meat out. You can do this by spreading it out in a flat layer on the wrapper it came in, or on a piece of parchment, or you can spread it up the edges of a large mixing bowl. I just get it about an inch thick. The thickness isn’t important: all you’re doing is giving yourself as much surface area as possible to sprinkle the spices over. Step 4: Sprinkle the spices. Sprinkle half of them over the surface of the meat, pat them in a little, then turn the meat over and sprinkle the other side with the remaining spice mixture. 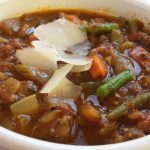 If you’re adding shredded apple, maple syrup, fresh herbs, or other similar ingredients, add them now as well. Step 5: Mush it! Using your hands, squish the sausage and spices together until they’re pretty evenly mixed. If you’re using pork, add the water about halfway through this mixing step and continue till it’s all incorporated. Pork absorbs water, and this will help keep it from drying out when it cooks. Step 6: Chill. You can cook it right away, but chilling it will allow the flavorings time to permeate throughout the mixture. Place in a covered container in the fridge for an hour at least, a few hours or overnight if you can. Step 7: Cook and/or freeze. You can cook it tinto crumbles, or shape it into patties before cooking. It freezes well, either cooked or raw. If freezing, I prefer to freeze it raw, because that retains the fat, which I can then use to brown onions and flavor the rest of the dish. And I freeze them in patties, because the thin patties thaw much quicker than a large chub would. 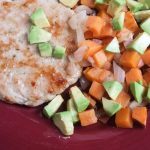 Here’s how I make it into evenly-sized patties for freezer storage. Use a kitchen scale to make sure you’re pulling off the same number of ounces per patty. I like to make mine about 3 to 3.5 ounces, because that makes a nice serving size for my appetite. If your house has smaller and larger eaters, 2-oz. servings are more versatile. Shape each piece into a ball, then place it in the middle of a sandwich baggie. Put the baggie on a flat surface, and using a plate, press down evenly on the sausage ball in the baggie until it’s as flat as you want. I make mine about 1/4″ thick. (They grow thicker as they cook.) Using a clear glass plate makes it easy to see how the process is going. The patty in the photo above is only about half flattened. You really want them thin. Close each baggie, pressing as much air out as possible before sealing the last bit closed. 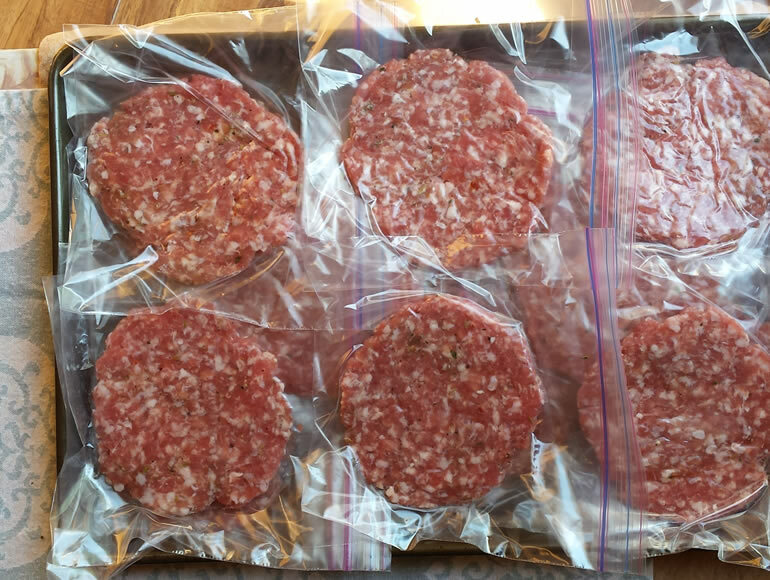 Lay all your prepared patties flat on a cookie sheet and place in the freezer till firm. Then remove and place all of them in a gallon freezer baggie. Label it with the type of sausage and date you made it. To use, remove a frozen patty and place on a microwave-safe plate; defrost briefly. Heat a skillet over medium-low heat; add the patty and cook, flipping every so often, till it’s nicely browned and cooked through. 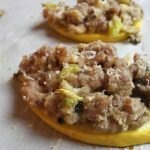 Summer squash topped with sausage. Click image for recipe. Crush fennel and red pepper flakes; add sage, pepper, and salt. Follow directions above. Makes eight 2-oz. servings, or six 3-oz. servings. Combine all seasonings and follow directions above. optional if you’re not AIP: add 1/2 t. black pepper. Or, to make this a hot Italian sausage, also add red pepper flakes; two pinches for mild, more for hotter. 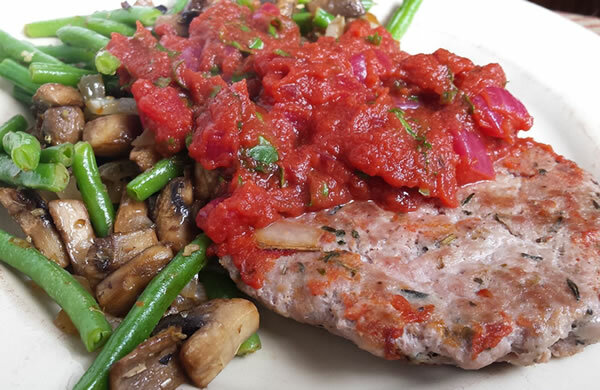 The rosemary gives this sausage an Italian flavor, so I sometimes serve it with homemade marinara.